Illustrator and designer, Lisa Grue of Underwerket dwells "in the heart of Copenhagen", and it's easy to see why her home was recently featured on design*sponge. 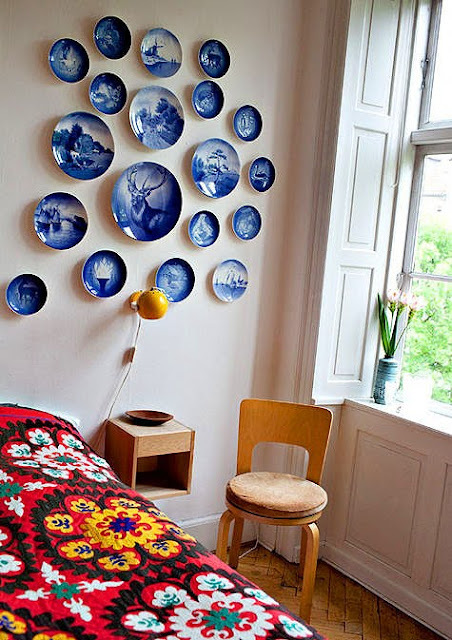 I'm worshipping the look of that vintage suzani on her bed. PS Get yours (do you know what I'm gonna say?) HERE!